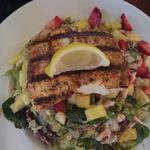 Zagat Rated and the Place to Be! 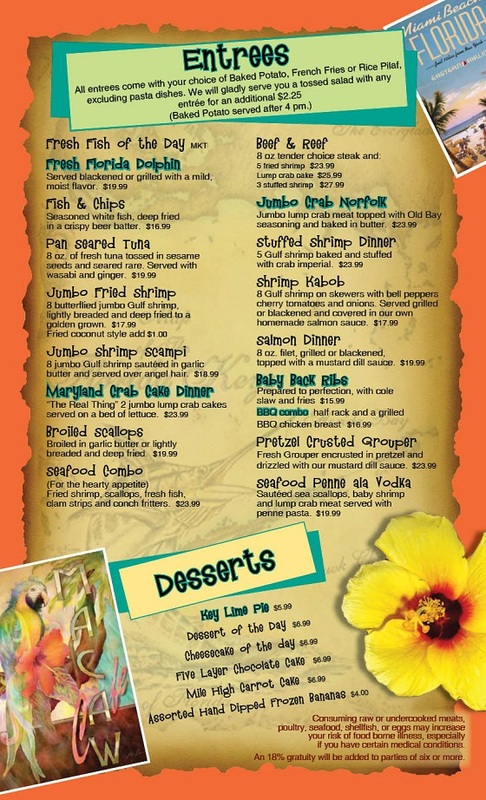 Broiled Scallops, Maryland Crab Cakes, Pretzel Crusted Grouper, Jumbo Crab, Pan Seared Tuna, Chicken Avocado BLT, Beef & Reef, Seafood Combo. 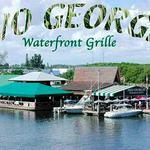 Beautiful Waterfront Dining! 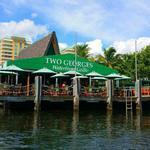 Two Georges has two locations, one in Deerfield Beach and one in Boynton Beach. 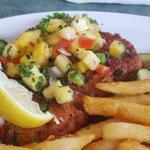 You may dine at both with a 60% off dining certificate from CharityDine.com. It has been in the Boynton Beach location for over 50 years. 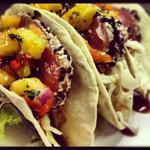 Being one of the fixtures in the city, the restaurant has a large loyal customer base and it is always busy. It serves some of the freshest seafood in the city and offers unique island décor. 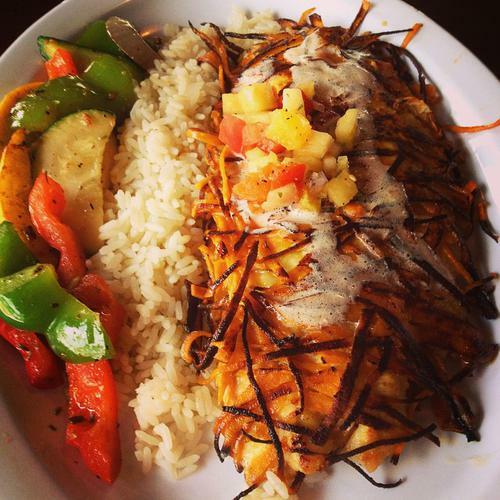 You can arrive at the restaurant by both or by car, and it is a popular place to watch sports events with over 20 flat screen TVs located throughout the restaurant. The restaurant offers a unique relaxed atmosphere and is a great option for lunch or dinner with its scenic waterfront views. 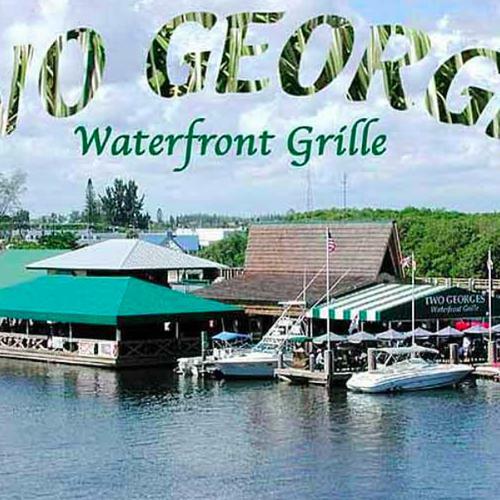 There are few restaurants in Florida that let you arrive by both boat or car, but Two Georges in Boynton Beach is one of them. 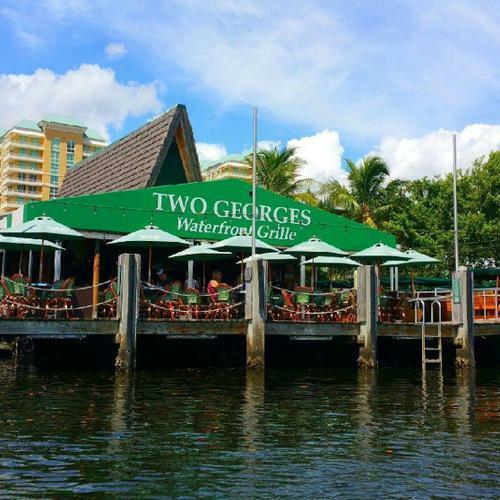 There is plenty of docking nearby if you happen to be boating and you can enjoy a full day of water recreation and a meal at Two Georges. 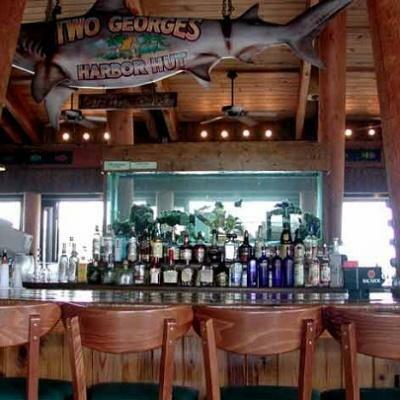 There is diving, fishing, and jet skiing all available from Two Georges Marina. You don’t need to order a full meal at Two Georges as there is a regular happy hour Monday- Friday from 3-7 P.M., and the happy hour is one of the most popular service times. The patio bar is also a popular spot in the restaurant and you can enjoy a drink while watching your favorite sports events. Like the Two Georges location at The Cove, this location features a wide and extensive menu including specialty dishes, shrimp, pastas, sides, and more. 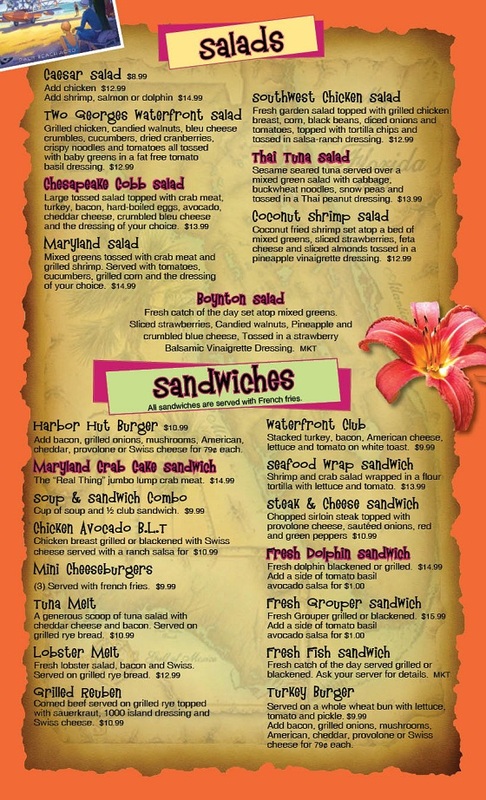 Some of the favorites include the mahi mahi sandwich, crab cake sandwich, lobster melt, and more. 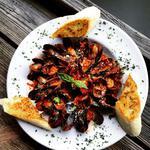 There is an extensive appetizer menu as well as regular happy hour specials. 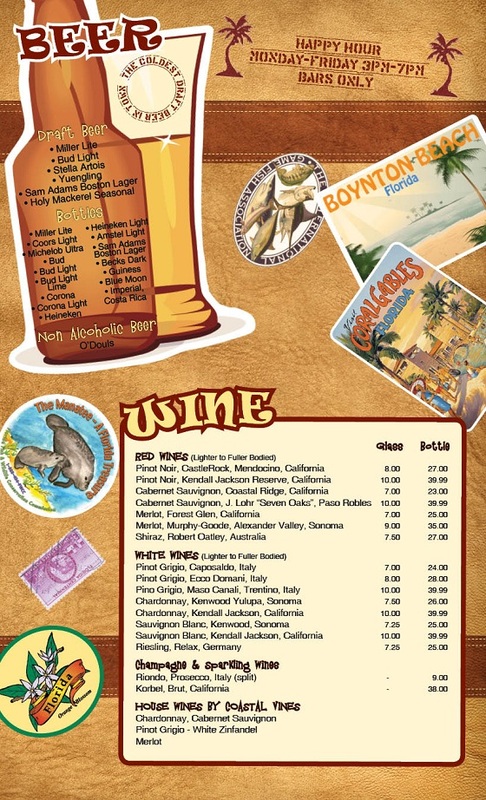 There are several options for specialty drinks as well as frozen chillers, and an extensive beer and wine menu. 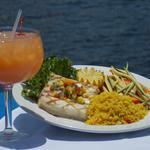 Popular fish choices include the catch of the day, mahi mahi, salmon, wahoo, and grouper. There are a few different popular shrimp entrees such as coconut shrimp, shrimp kabobs, and stuffed shrimp. 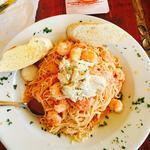 There are several choices for pasta include penne, seafood macaroni and cheese, and shrimp scampi. 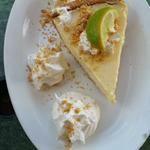 Two Georges in Boynton Beach is a popular local restaurant and has several positive reviews from its loyal patrons. 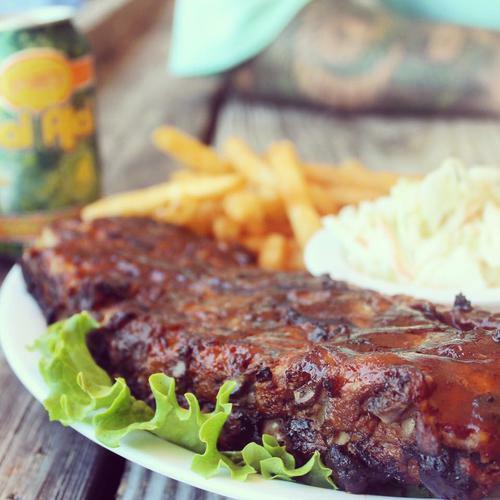 It’s the perfect restaurant to go to after a day of fishing, and the restaurant is very experienced at serving large groups quickly. 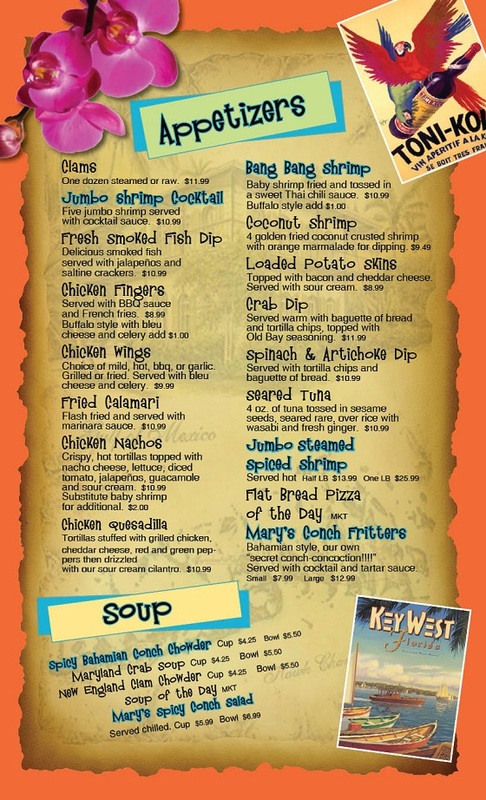 Customers enjoy the fast service and the wide range of menu options. The seafood is always fresh, and patrons appreciate the fact that it is one of the few restaurants where you can actually eat on the water. It is without a doubt one of the best waterfront restaurants in Boynton Beach, and if you happen to be in the area you should be sure to check the restaurant out if you want to enjoy a pleasant meal right on the water, or if you want to enjoy the nearby water recreation options. 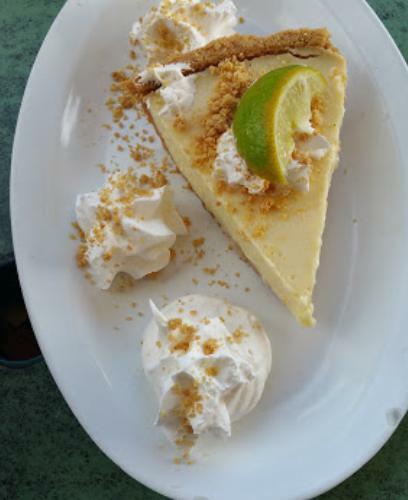 Your purchase of a Charity Dine gift certificate for Two Georges in Boynton Beach will allow you to enjoy some of Boynton Beach's best dining at a terrific discount while a charity benefits from a percentage of your certificate purchase.